I have discovered a couple of items here at Active Rain during my time here, and I thought it might be valuable to share this information with my friends. I am probably not the first to write about this, but I only recently figured out that it is possible to invite others to any group in which you are a member. I guess I have spent a lot of my time in the groups where I am a founder and/or moderator (Family Ties, Active Rain Addicts, and Inspired by Song!). I have invited countless people to my own groups over the past few months, and I thought that this ability was limited to the groups that you help to run, but this is not the case. After clicking on this, you can search by Profiles, Blogs, Blog Comments, or Groups. Have you ever wanted to go back and find a comment that you thought was interesting? You can use a keyword and the name of the commenter to search the Blog Comments. If you are looking for a specific type of group, this is a great place to begin. As a prolific blogger, I have had posts of mine mentioned on occasion in posts by other bloggers. An easy way to find these posts (and perhaps make a new friend in the process) is to search for my own name under the "Blogs" section. I was surprised not too long ago to find about 20 articles that mentioned my name for one reason or another. The more you write, the more likely it is that this will happen to you as well. BTW - another great search tool is the tag word search. 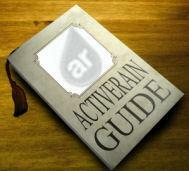 Just type in http://activerain.com/blogs/tags/ (then anything you want to search) this will only pull up specific posts where those keywords were used. It's a more refined search, but saves you the time weeding through many blogs to find what you want or need. Thanks so much for reading this one! Let me know if you have any questions.